The FBI will conclude its “supplemental” background check into Judge Kavanaugh (it’s 7th), limiting its time and scope to focus on purely the claims of sexual misconduct earlier than the Democrats hoped. Those Democrats will resort to additional dirty tactics. Speeches from all of the Democrats will occur on the floor of the Senate—most opposing Kavanaugh. They will throw seismic fits, and spittle-flying rants, condemning Kavanaugh, republicans and even the very FBI they begged to investigate all in an attempt to destroy and demoralize Judge Kavanaugh. It will conclude one of the ugliest periods of American politics. Sadly about fifty percent of the American people will be too uninformed to explain why it was so ugly. The average American will mistakenly think (thanks to the horrifically awful media) that Judge Kavanaugh did something that no one ever proved he did. Not one scintilla of evidence revealed, and all witnesses involved clearing him of any involvement, attendance, or even having met. Justice Kavanaugh’s life will never be the same. Nor will his accuser’s. But sadly some of the Senate Democrats who decided to ruin these lives will sleep like babies and never take so much as a moment to ponder the damage they did. They will never question the unethical use of violating the trust of a constituent who confided in them and desired an anonymous process. They will never regret their attempt to slander an honorable father in the eyes of his own daughters. They will only move to plot their next step in attempting to regain power. Having realized that here are some basic reasons the FBI investigation will conclude the matter. In a supplemental background check the witnesses involved will be interviewed. All have agreed to cooperate fully. They will answer the questions asked, and in all likelihood give the same answers they’ve already given under oath and under penalty of felony perjury if their answers differ from what they previously said. The FBI (will for the second time) along with Maryland authorities, as well as every prosecutor that has looked at this evidence admit there is no felony/federal jurisdiction here. After the Democratic Party attempted to have Kavanaugh arrested on Saturday, Maryland officials reiterated their findings that by their standards, the worst charges possible, would carry with them a one year statute of limitations. Additional prosecutors are on the record citing the evidence as insufficient to even merit a basis for a search warrant—much less an arrest. What all of the law enforcement bodies continue to point to is lack of a time and place. And while the accuser is 100% sure that something happened. The accused and 3 witnesses are 100% sure they were not witness to any event resembling its description. The FBI will also highlight greater amounts of exculpatory evidence against Dr. Ford. Her “fear” of flying, her “misremembering” her 100% clear account at the mysterious Safeway “second door” (it only had one,) her complete inability to figure out how she got to or from the “incident,” and the continued refutation by her best friend that such a gathering occurred with her present is likely the tip of the iceberg. Therapy notes will likely be required to be turned over. 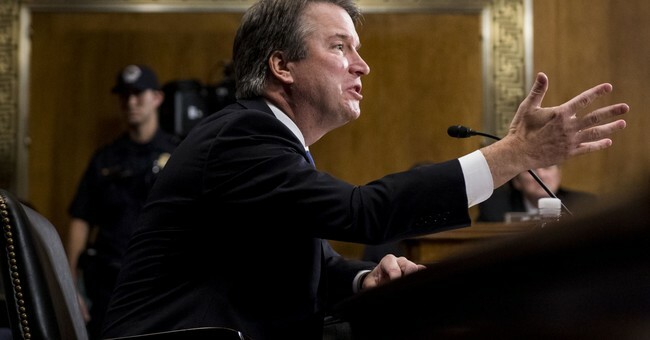 Why they were not turned over to the Senate Judiciary is inexplicable especially since she uses that as “corroboration” of her first “telling” of the mysterious incident. Dr. Ford’s own family—not a one—was capable of coming to her support for this dreadful season. Why weren’t they? The FBI may need to ask given that she was living with her parents at the time. The FBI may very well uncover a coordinated effort between the Senate staffer who leaked Dr Ford’s name (against her wishes,) the law firm recommended by the ranking member, and the links to others making accusations. By Saturday midday, Judiciary Democrats, with the investigation having not even been underway for a full twenty-four hours were already attempting to undermine the validity and reliability of its efforts. Simultaneously Mitch McConnell tweeted a short clip of his floor speech from late Friday. In it he made crystal clear that “all fifty-one” republicans were in agreement in moving forward with the scheduled vote. “All fifty-one,” he reiterated. And thankfully I believe that this nightmare for Judge Kavanaugh is almost finished. For the sake and innocence of his daughters, bride, family and all who have supported and been grateful for his public service of over 30 years—It’s past time!